Apple today opened sales of its new iPhone 4S smartphone in fifteen additional countries, making it the third major launch date for the device since it debuted on October 14 in the US, UK, Australia, Canada, France, Germany and Japan. 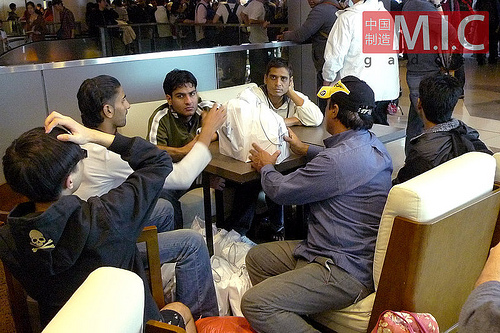 With no confirmed plans as to when the iPhone 4S will launch in China, the recent launch in Hong Kong was seen as a perfect opportunity by gray market sellers and importers to buy large numbers of stock to resell at a significantly inflated price. Apple enabled customers to preorder up to ten handsets from November 4, ensuring that online stock sold out in under twenty minutes. When the device finally went on sale in Apple’s only Retail Store in the IFC Mall, a 3000-strong crowd consisting of legitimate customers and ‘professional queuers’ lined up outside to enter the store and buy as many handsets as they could physically get their hands on. 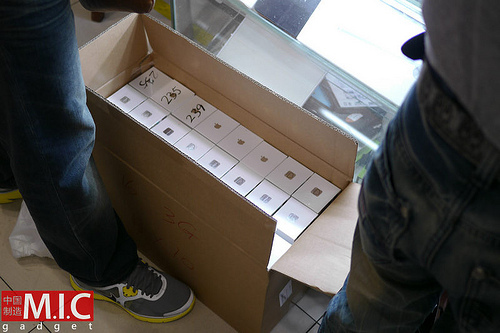 Many got their handset and left, but many took the opportunity to buy as many as five handsets on the day, immediately selling them to gray market dealers directly outside of the Apple Store for a significant markup. MICGadget captured a number of photos of the dealers, which had numerous Apple Store bags full of iPhone 4S handsets they had secured either from paid queuers or by purchasing from customers that had used their allowance to buy up to five handsets. 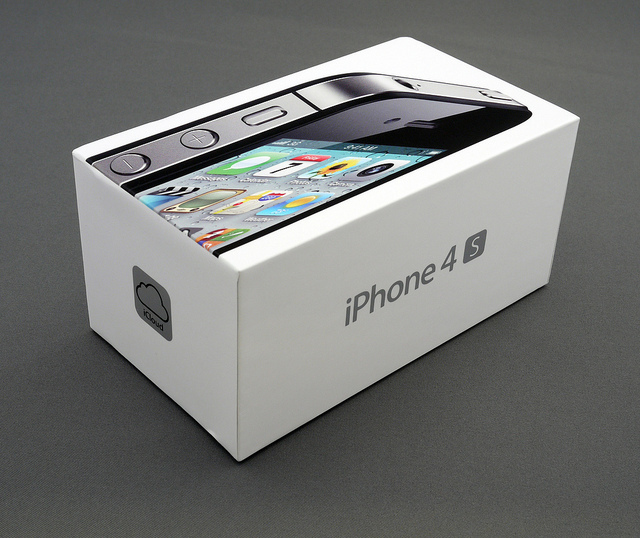 With significant interest in the iPhone 4S from China, many buyers are securing large quantities of the device to be able to import into the country and begin selling the handset unofficially, with consumers only able to buy the iPhone 4 in the country currently. However, customers can simply switch their existing MicroSIM into the new iPhone and use it as they would their old device. Many will argue that Apple has helped facilitate the frenzied scenes seen at Hong Kong’s IFC Mall today, allowing customers to buy double the number of devices in he country than in Europe and North America. Consumers may have the need to buy two, at the most three, devices for friends or family but a preorder limit of ten devices and a retail limit of five devices seems overly excessive for a country where it knows iPhones will be bought for resale in Hong Kong and imporation into neighbouring countries for a profit.